Living so close to London means I'm spoiled for choice when it comes to shopping. Besides, everything is available at my finger tips these days so the urge to hit the shops rarely surface. However, the one thing I love to do when I'm in France is to shop for items that are particularly difficult to find outside of the country. 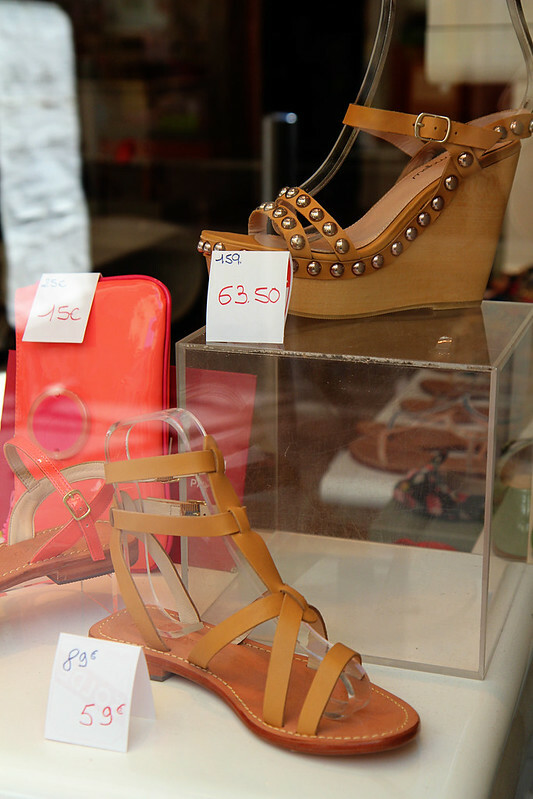 I was tempted to pay a small fortune to hop on a boat from Nice to St Tropez just to check out Rondini sandals. Or the other option is being stuck in gridlock just getting in and out of St Tropez, making it a 6 hour return journey. 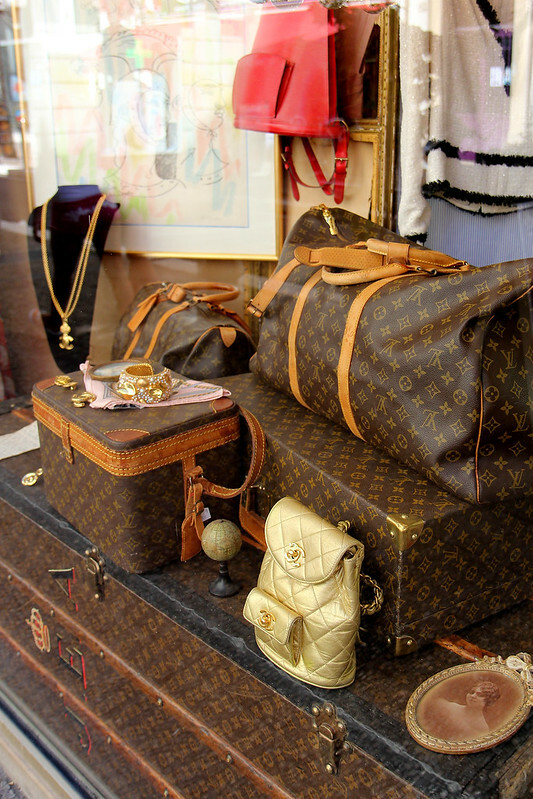 Admittedly, I've done some pretty crazy things all in the name of fashion acquisition - like hopping on a train and stopping in 4 different towns along the French Riviera trying to locate an Hermes Kelly bag. Thankfully, I'm a little more mature these days (though that remains to be seen depending on who you ask) so my next option is Mellow Yellow. Their leather sandals are extremely affordable especially during the sale season and the quality isn't bad at all. Diptyque is held in high esteem but their prices can be prohibitive. I've been looking for an alternative but preferably one that uses essential oils and contains no paraben. 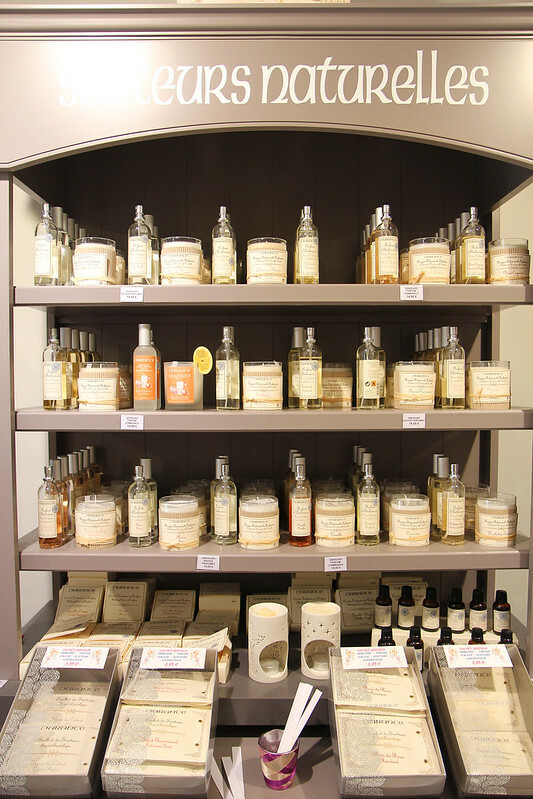 The candles and reed diffusers from Durance are equally impressive at a quarter of Diptyque's prices. 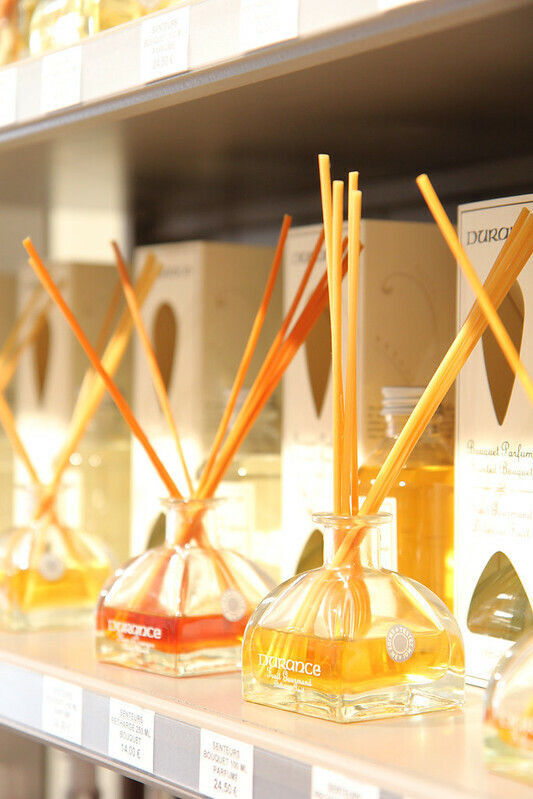 The brand originates from Provence and their products are made of 95% natural and organic ingredients from the region. It's pretty difficult trying to find Durance in England and their range is small. You can imagine how ecstatic I was when I stumbled across their small boutique in Cannes by chance. I promptly stocked up on my favorite diffuser refills (rose and violette) which costs a mere 14€ for a 250ml bottle. I wish I wasn't in such a hurry because I would've loved to get scented sachets for the drawers. What's not to like about simple everyday clothes that not only look good and affordable but are made of 100% certified organic cotton? 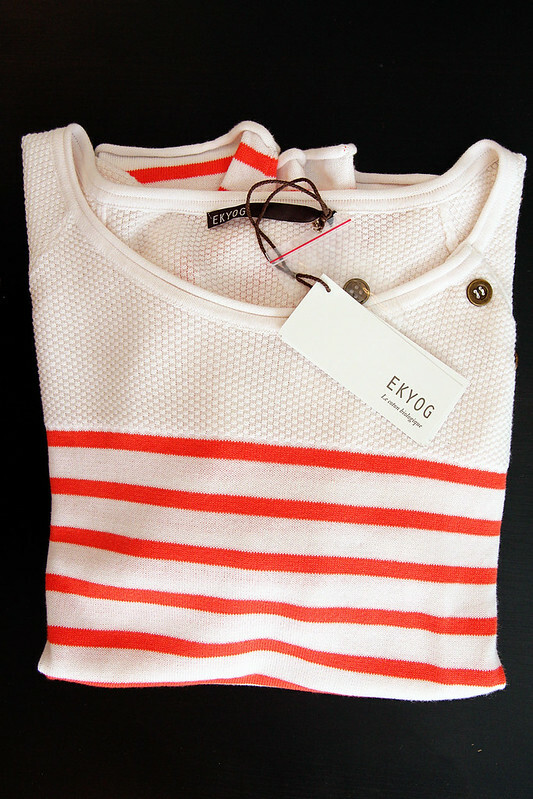 Ekyog is readily available all over France but they don't ship internationally. 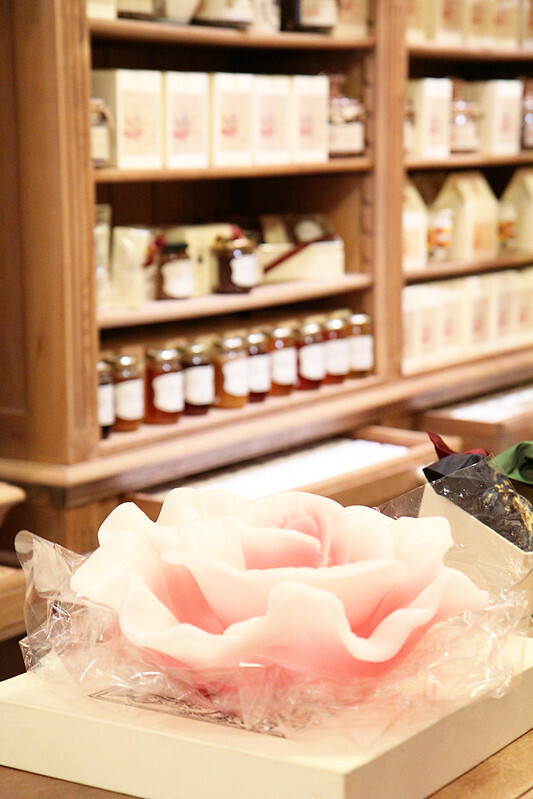 Santa Maria Novella is fairly well known these days but there's nothing like stepping into their small boutiques where you can test and sniff the products to your heart's content. 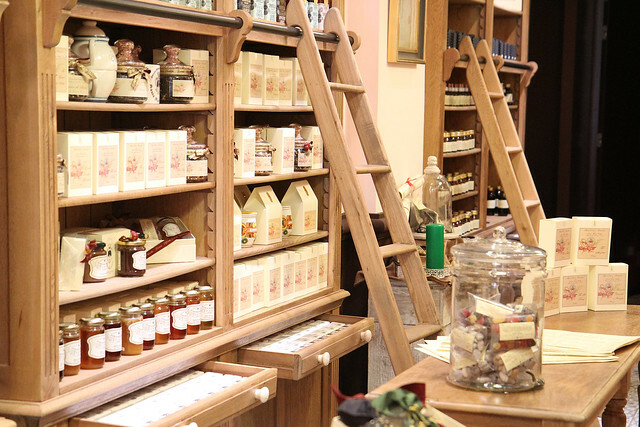 The apothecary has been selling their wares since the 1200s. The original products that were formulated by the monks so many centuries ago are still being sold today. When I first started wearing Repetto flats more than 7 years ago, they were ridiculously difficult to find outside of France. Slowly, they gained notoriety after getting a stamp of approval from a number of celebrities. These days, they're everywhere BUT you can now custom order your ballet flats in thousands of combinations in two locations. You choose the lambskin leather, trim, ribbon and heel from a list of colors longer than my arm (250 and counting). You could do that at their rue de la Paix store in Paris but it's always busy whereas the one in Cannes is relatively quiet. Do ask for Velerie. I've always found depot-ventes to be a treasure trove. You just never know what kind of holy grails you might dig up. There are quite a few dotted all over Cote d'Azur but these are the two that I've personally checked out. Luxe Mademoiselle (41 rue de France) and another just across the road. Unfortunately, I'd lost the business card for the latter and can't remember the name. 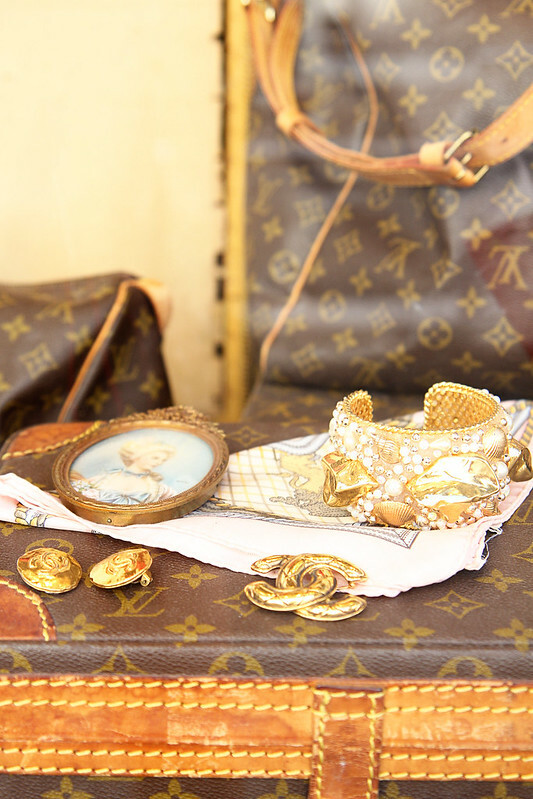 The owner at Luxe Mademoiselle has personally handpicked each item in her small but exquisite boutique. 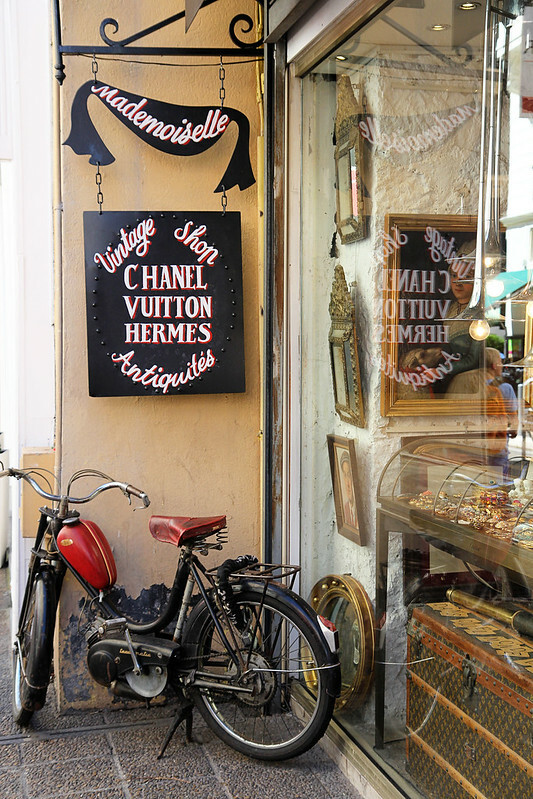 On the day I was there, I saw a number of Hermes bags and vintage Chanel jackets. Prices are high so don't expect a bargain. The depot-vente across the road is more reasonably priced with Hermes cashmere shawls selling for €380. I'm by no means an expert on the Cote d'Azur region but do share any tips or shops that you love if you've been there before. Definitely a big must to to go back to Cote d'Azur again. Personally, I think it's not important to be caught up with camera equipment. Up until 3 weeks ago, I was using a 2nd generation clunky DSLR which was on its last breath. Majority of my photos on my Instagram and some here on the blog were taken with my Samsung Galaxy Note phone. I'm still learning myself but I think that if you have good light (early morning and evening tend to be best) and push yourself to compose better pics, you can take good photos regardless of your equipment. Some of the best photos I've seen were taken with a phone. That said, I'd invest in better lens though as the photos tend to be more crisp and colors are more saturated. ah bookmarking this for future use! durance seems like just my kind of thing! So did you order custom made Repetto? And congrats for your Ekyog purchase. As for Mellow Yellow yes this is true they stil (but for how long time since they change?) have a nice range of shoes of quality not too expensive. This is a fabulous guide! We've been talking about going back to Nice forever and when we finally do I'm coming back here to read up again! There can't be no reading back stories without going through your site. I love reading and seeing blog post with travel photos, it seems that i can also travel to some parts of the world. Glad to know where durance originated.it's always a steal buying with a much lower price, the good part and advantage of being a traveller.